MODESTO (KTXL) -- Police in Modesto are looking for a man who they say stole liquor from a Food Maxx and robbed an employee earlier this month. Investigators say the man was confronted by a store employee after prying open a liquor cabinet. 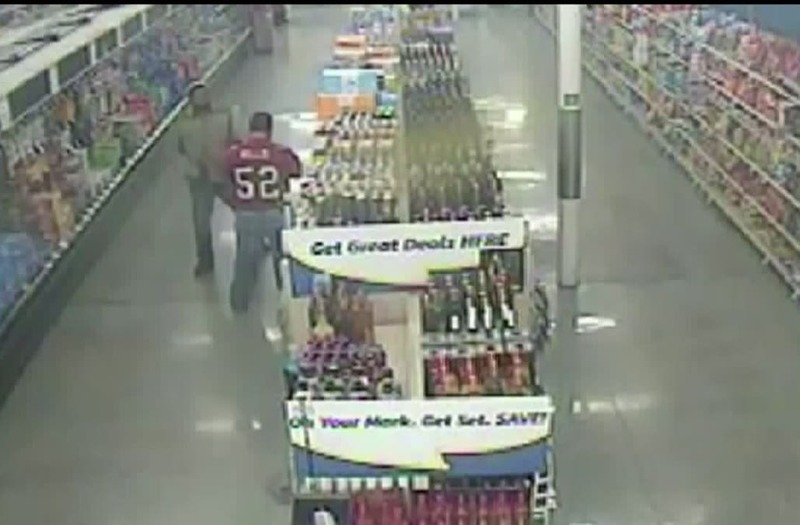 Surveillance video shows the man and employee get into an argument before walking out of frame. Police say the man ordered two store employees out of the store and to his car, where he grabbed a gun and assaulted both employees. The man robbed one of the employees, investigators said, before going back inside and ordering two more employees outside. Police in Modesto, California are looking for a man who they say stole liquor from a Food Maxx and robbed an employee earlier this month. According to police, all four employees were able to escape and the man drove off in a dark-colored Dodge Neon. The surveillance video, published Thursday by the Modesto Police Department, had some shoppers on edge. "I don’t understand why people would do that," shopper Rikki Ramos said, "That’s ridiculous." The store manager said he could not comment about the robbery.